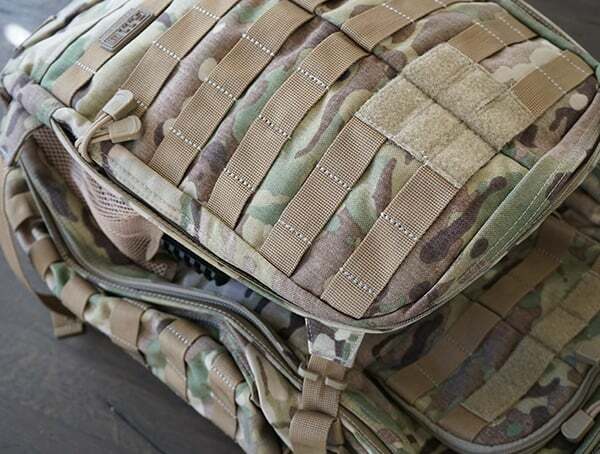 When it comes to tactical backpacks, let’s face it, the Rush series from 5.11 Tactical is easily among the most popular of them all. 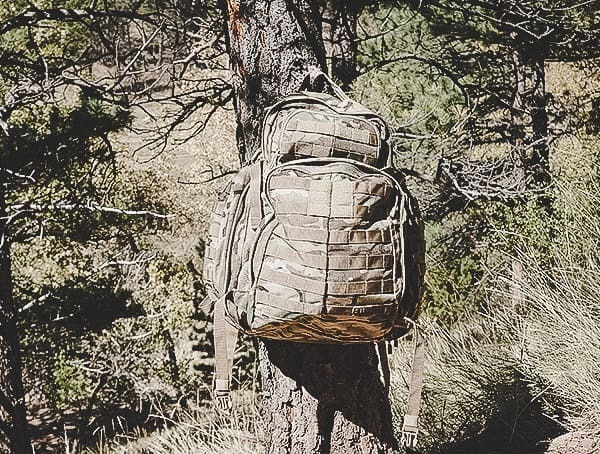 After putting together a list of my top bug out bag essentials, I knew I needed a better backpack to carry all of that cargo around. 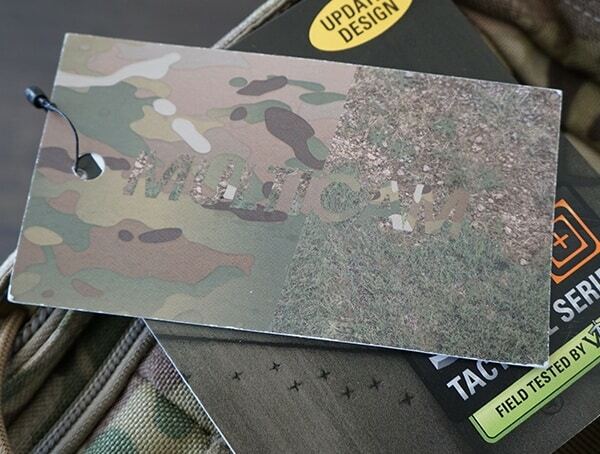 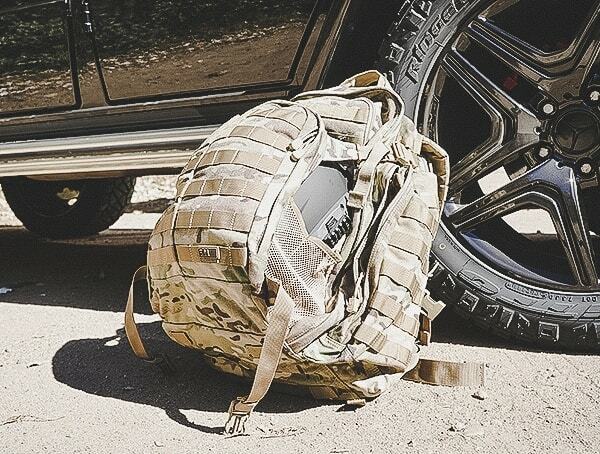 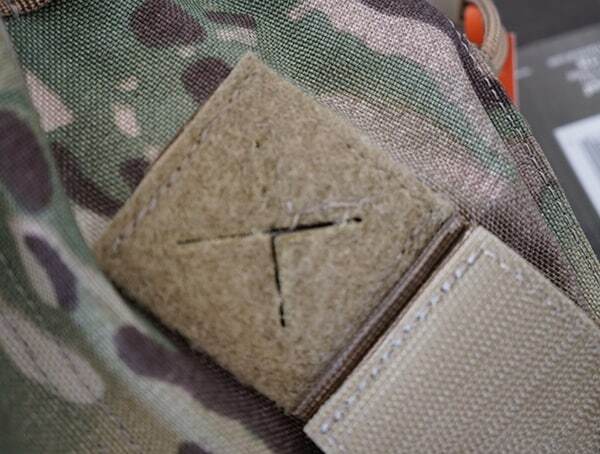 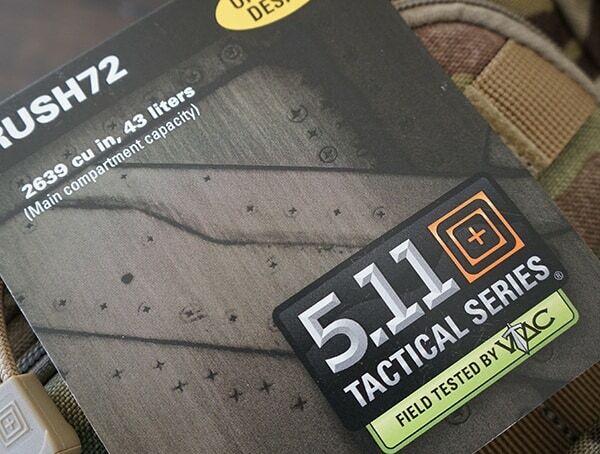 Luckily, 5.11 Tactical had just the answer. 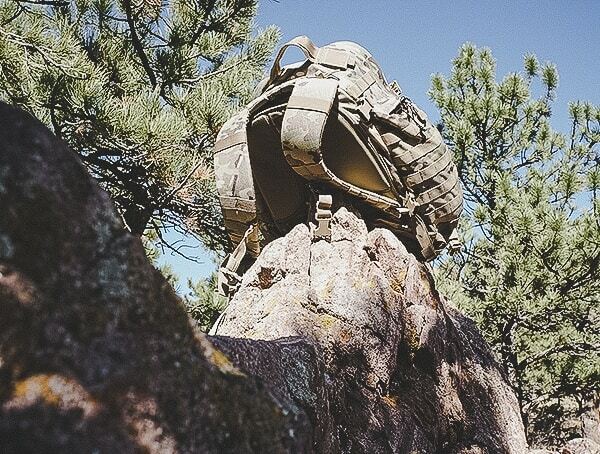 Their three day, 55-liter Rush72 backpack came all with the storage, organizer pockets, and utility I could ever need. 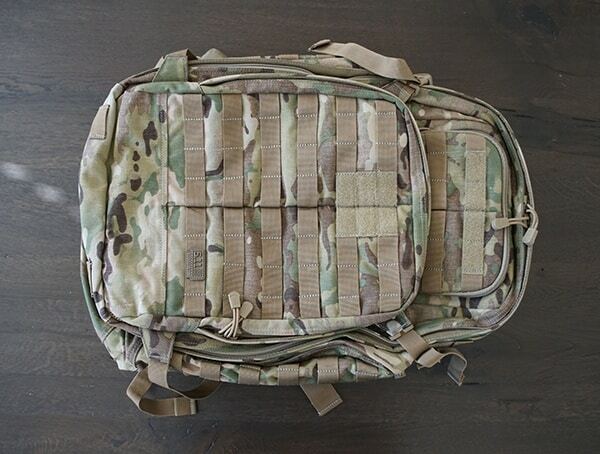 Of course, the ruggedly well-built construction meant that this was a pack I could trust too. 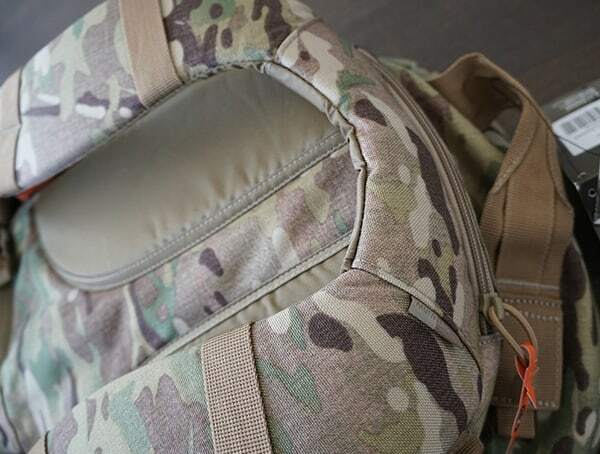 Over an extended wildness adventure, I had an opportunity to give the Rush72 backpack a solid review. 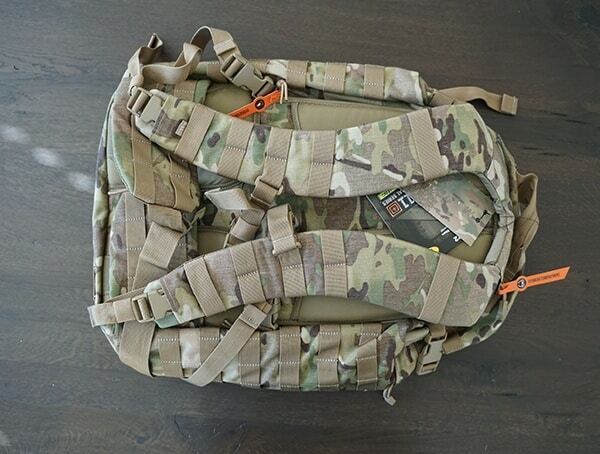 Surprisingly, no matter how I arranged my gear somehow it all managed to fit one way or another. 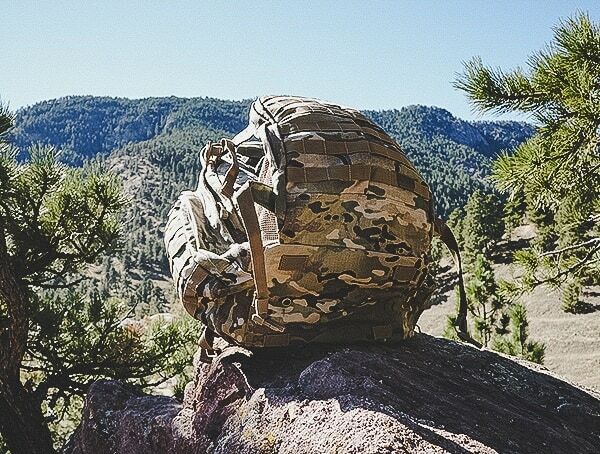 Even my Team Wendy helmet managed to fit in the extendable exterior compartment. 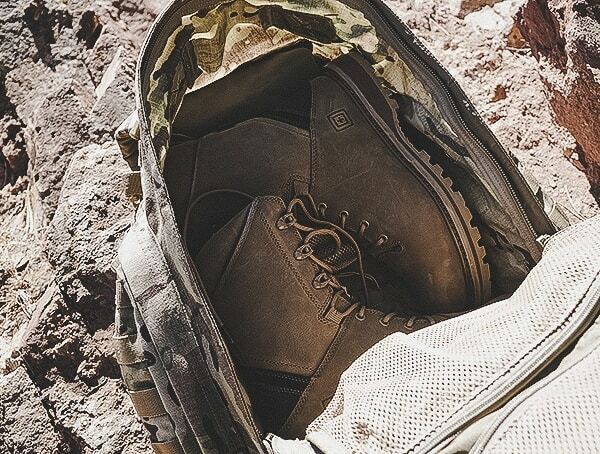 My 5.11 Tactical boots, which are seriously beefy by the way, were the perfect fit for the main interior compartment. 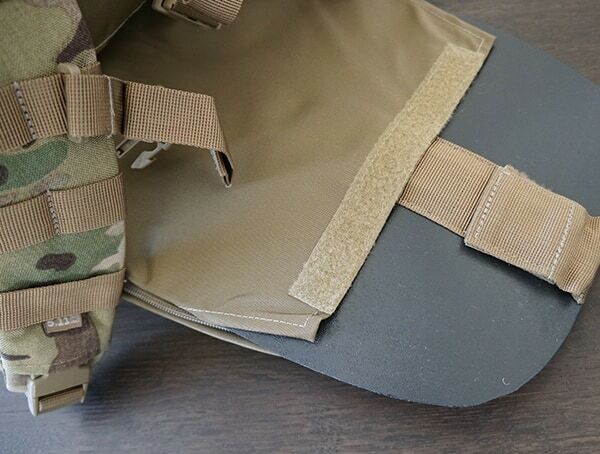 At the bottom, webbing straps made it easy for a sleeping bag (or tent) to attach to the backpack. 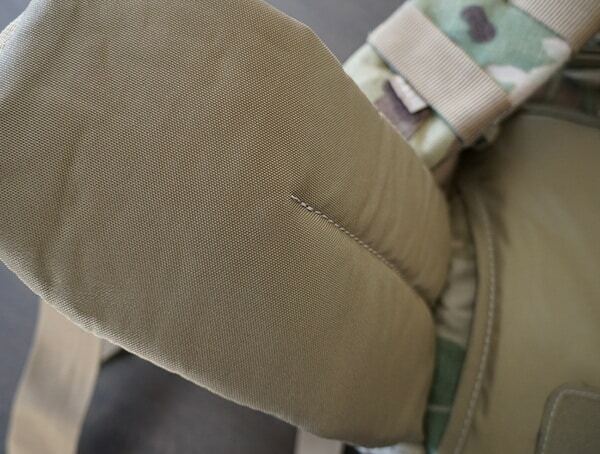 By using those, I was able to free up a ton of space inside of the main compartment. 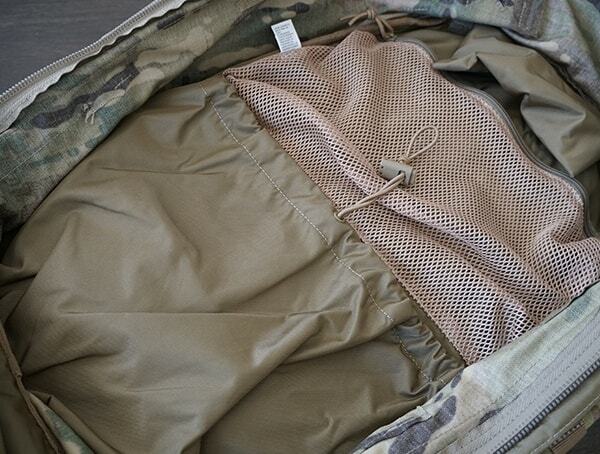 For additional storage, the double side pockets are super generous when it comes to their cargo carrying ability. 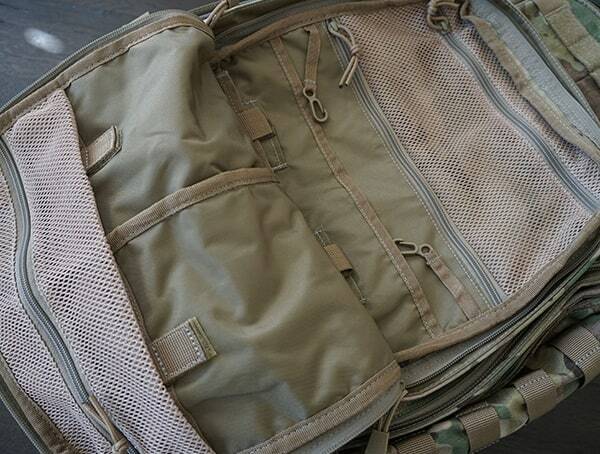 Water bottles, sleeping pads, medical kits, and much more will easily fit inside. 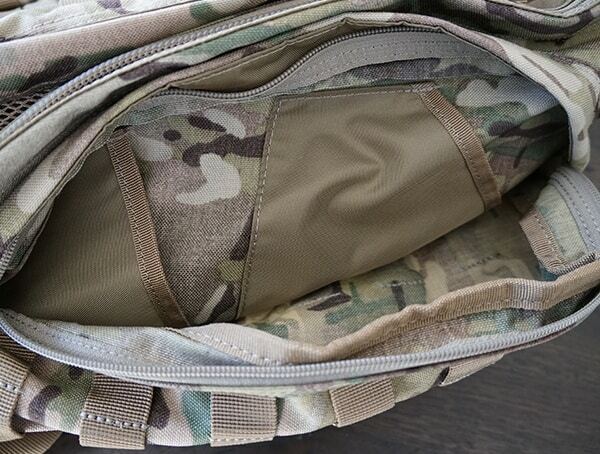 Best of all, accessing those pockets is fast. 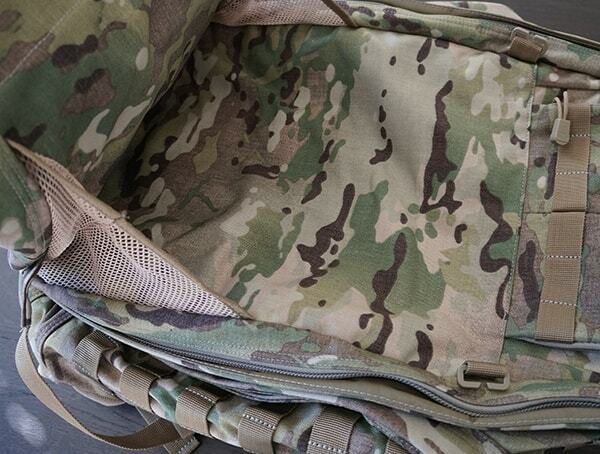 Come to think about it, accessing virtually every exterior pocket on this pack is ridiculously quick and easy. 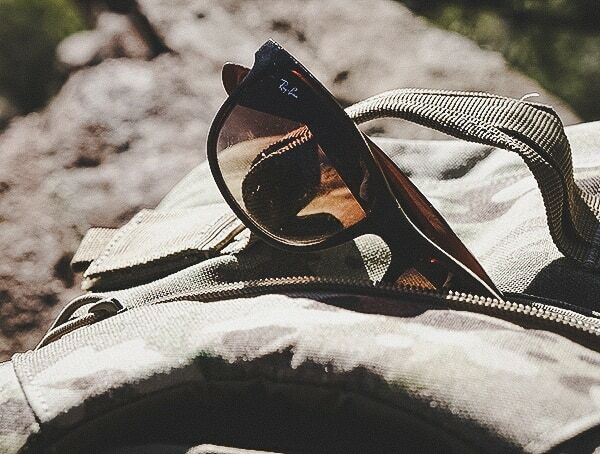 Beyond my more substantial items, I found a great sunglasses compartment with a soft interior lining at the top of the Rush72 backpack. 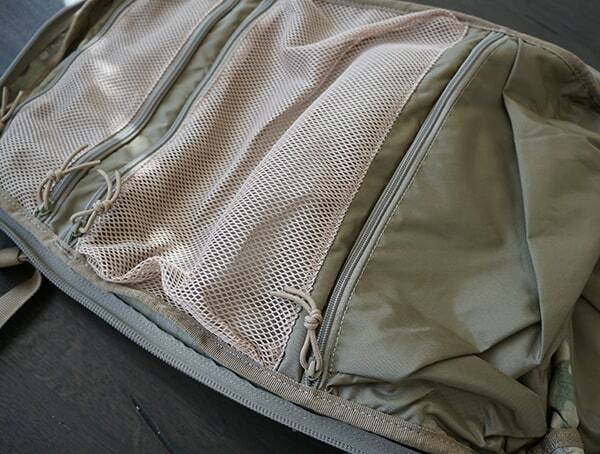 Moving deeper into the bag, I also came across numerous mesh, drawstring and enclosed zippered pockets. 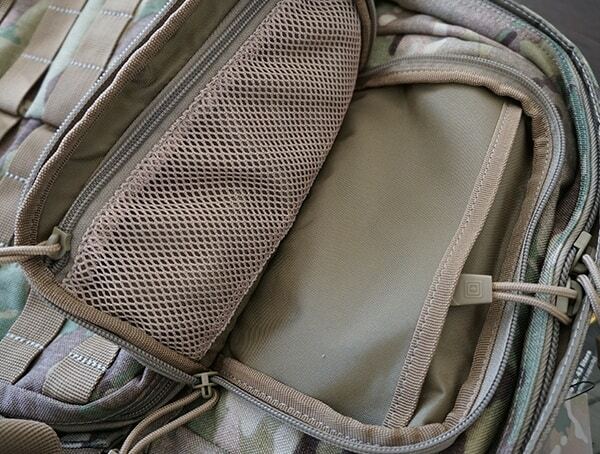 For staying organized these compartments are golden. 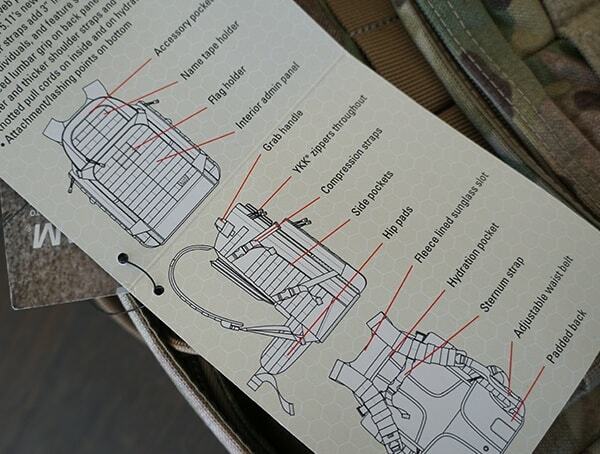 There is a compartmentalized area for everything you can imagine carrying. 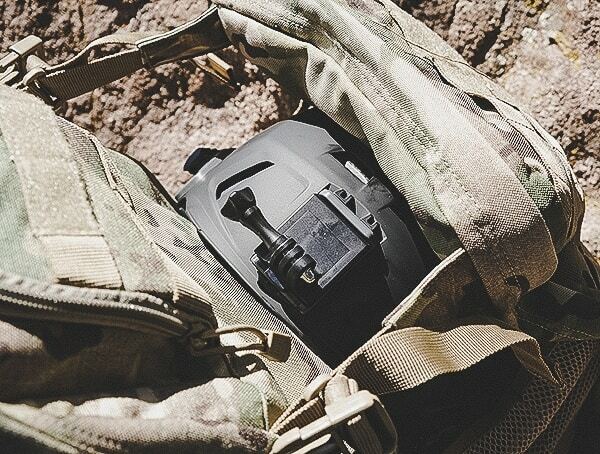 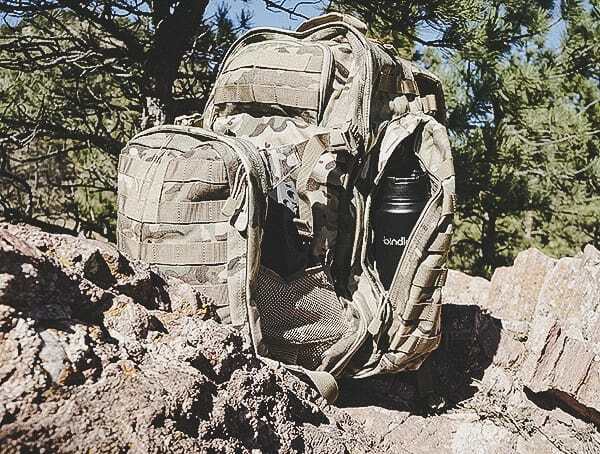 While I initially considered this to be my bug out bag, it’s been magnificent for outdoor hikes, bushcraft escapades, range days, and much more. 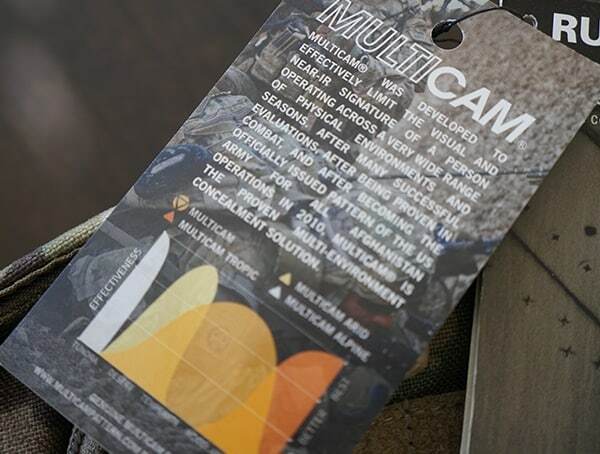 In other words, I can take it virtually anywhere. 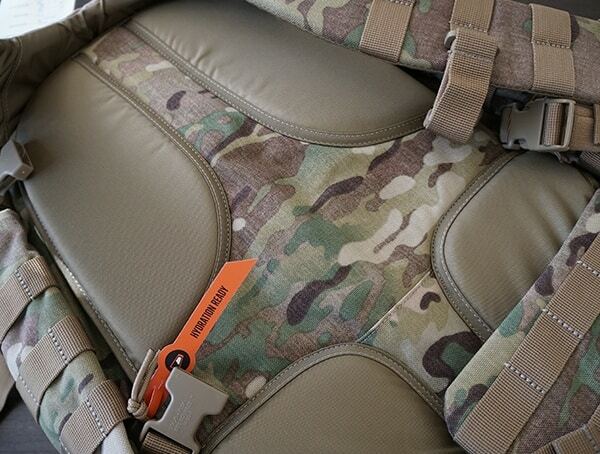 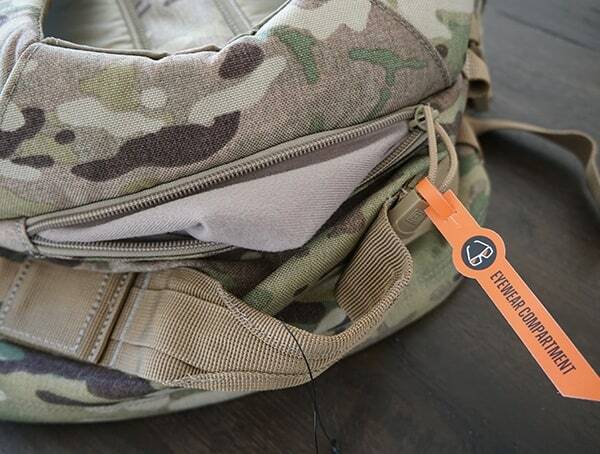 That’s all made possible thanks to the comfortable features 5.11 Tactical has decided incorporate. 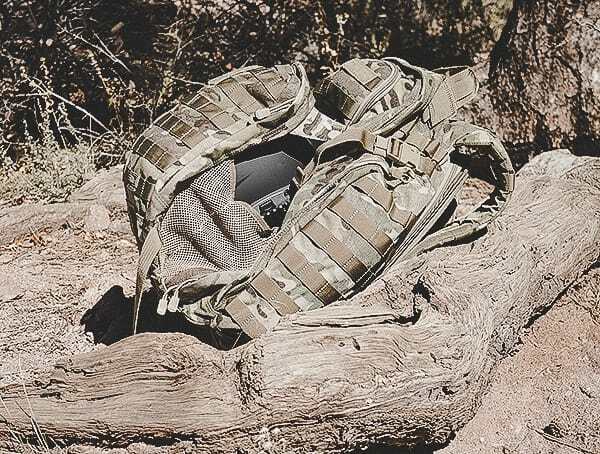 You’ll find things like adjustable dual density closed-cell foam shoulder straps, a cinching waist strap, and more all add to the enjoyment level of wearing this pack over more extended periods. 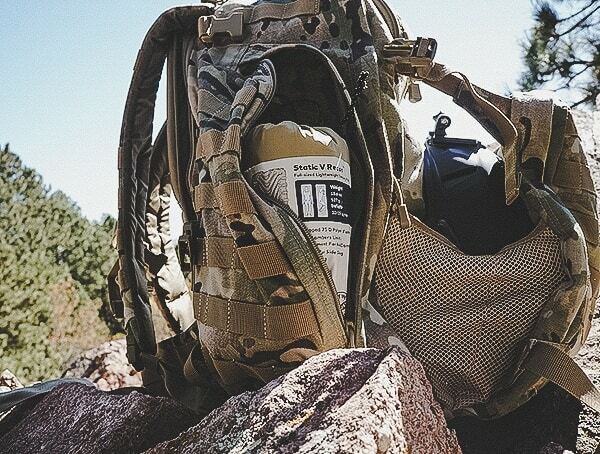 Regarding utility and functionality, the Rush72 backpack crushes it. 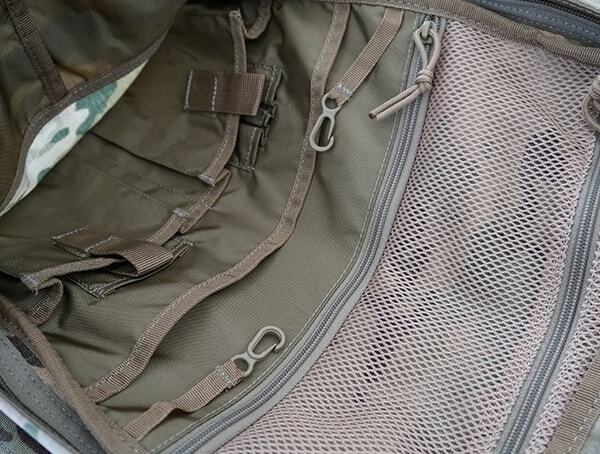 As I previously mentioned the storage capacity is as close to perfection as it gets for me. 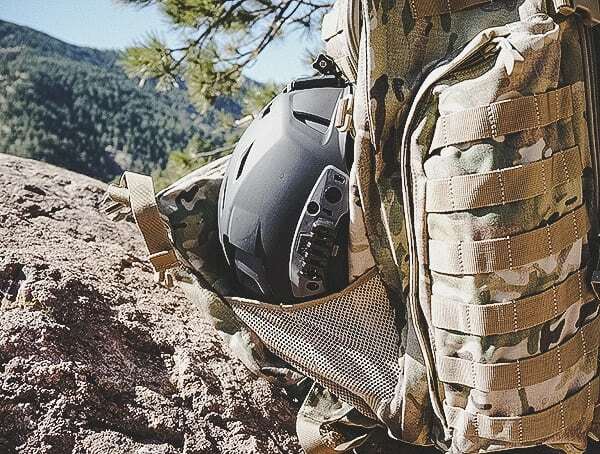 But it goes beyond just how much I can fit inside and the comfort of wearing the Rush72. 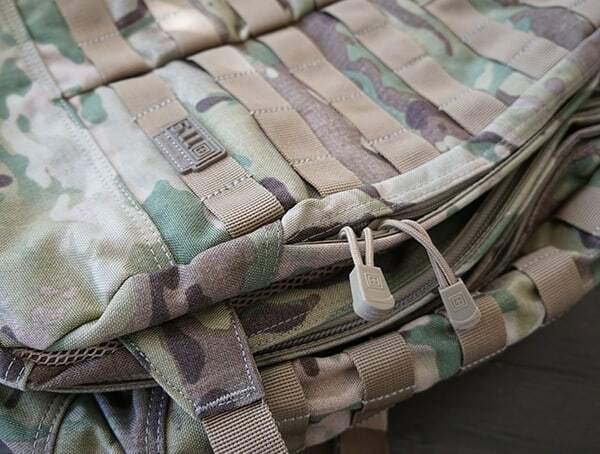 In reality, there is a lot of brilliant engineering to be found across the entire backpack. 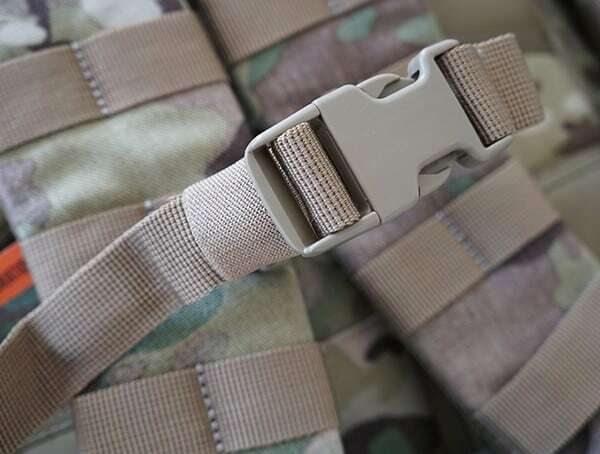 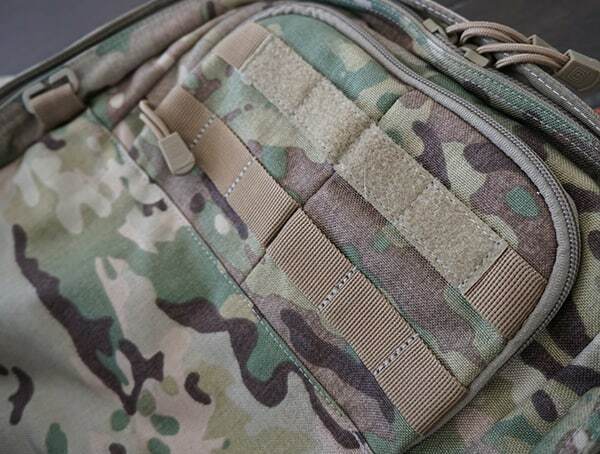 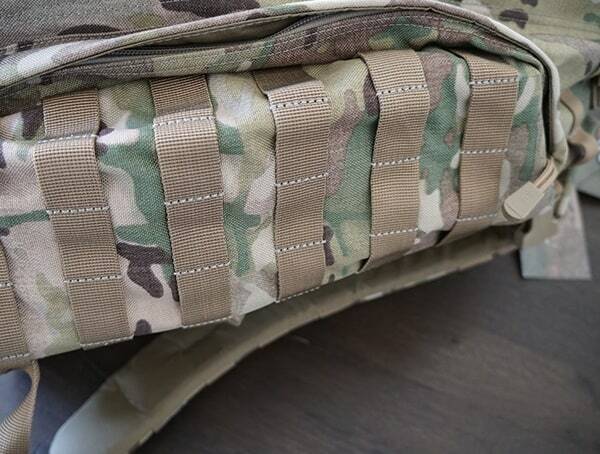 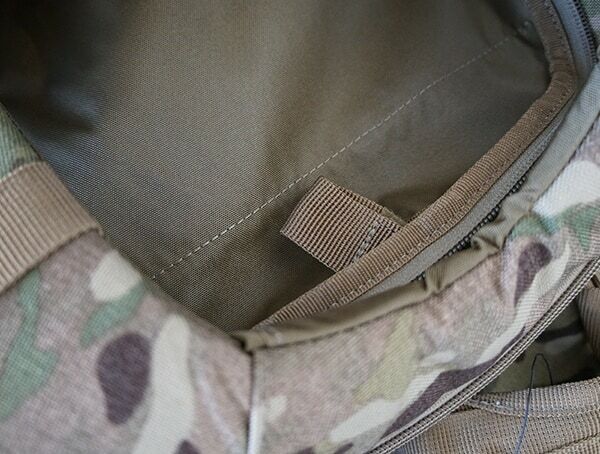 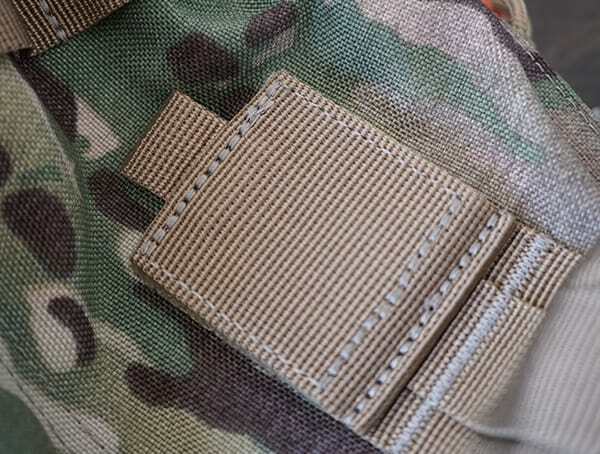 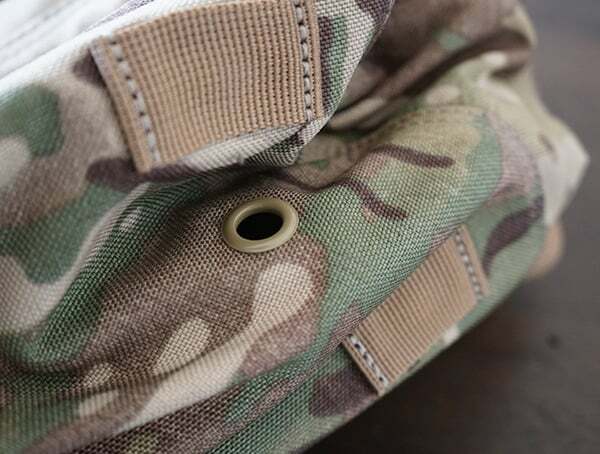 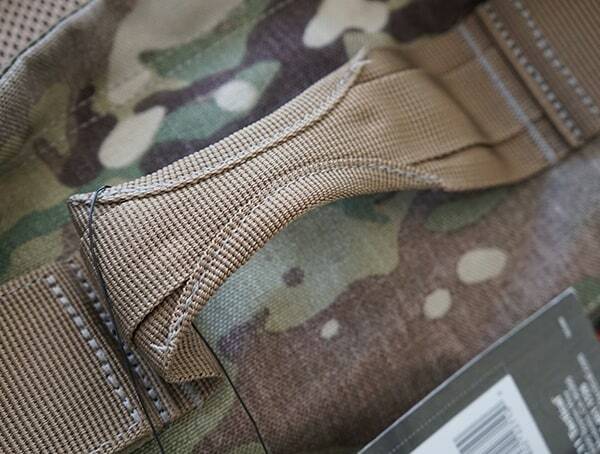 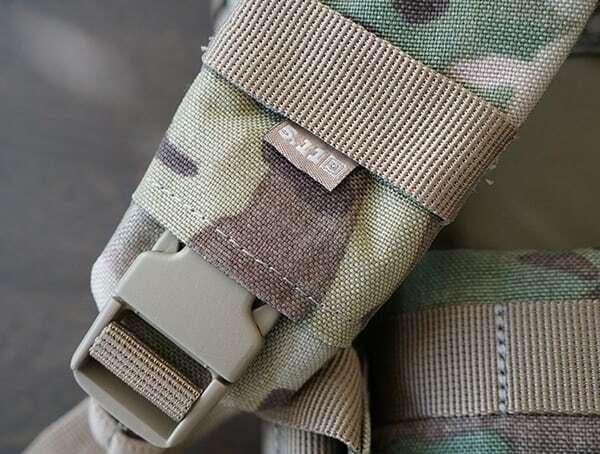 For starters, you’ve got drain holes in the bottom, heavy-duty zipper covers to keep the rain out, molded grip pulls, water-repellant 1050D Nylon (or 1000D for my Multicam version), and more. 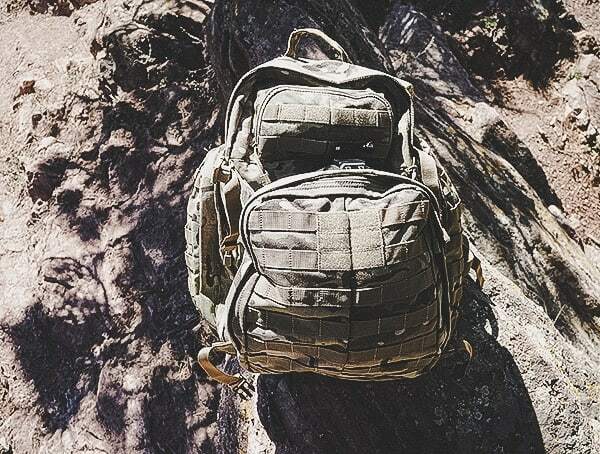 Sure, it’s not waterproof, but let’s face it if you need something waterproofed get a dry bag for the interior of this pack. 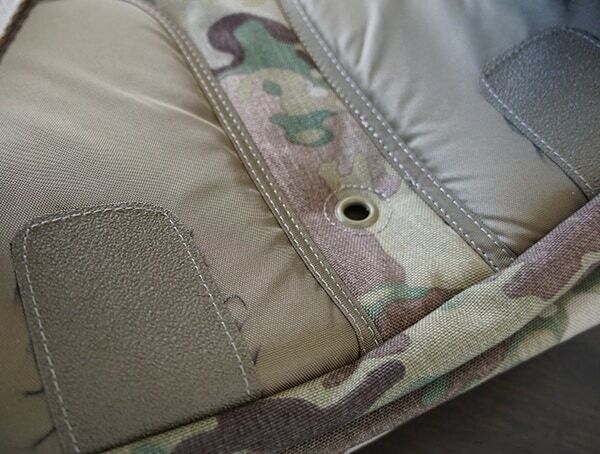 The combination will be heaven-sent. 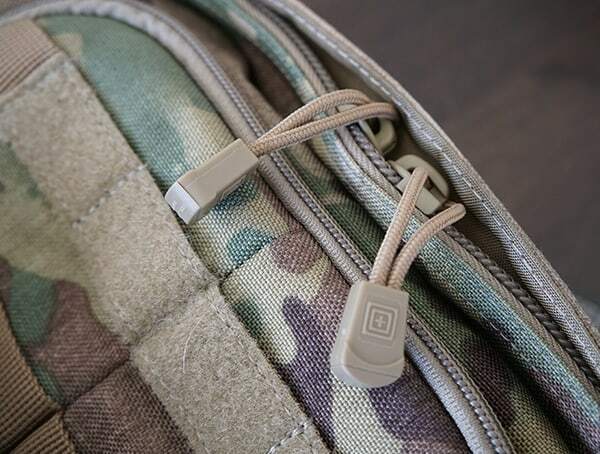 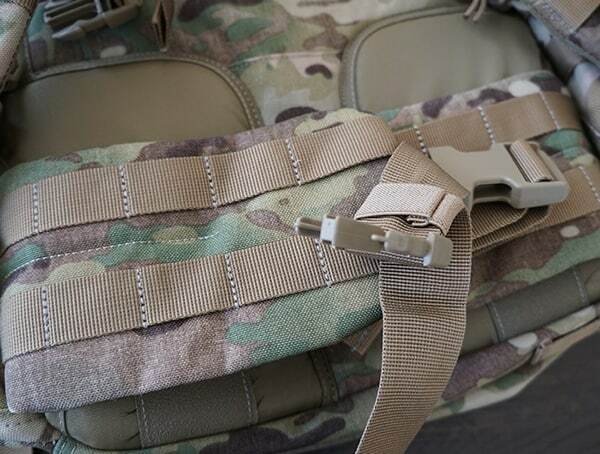 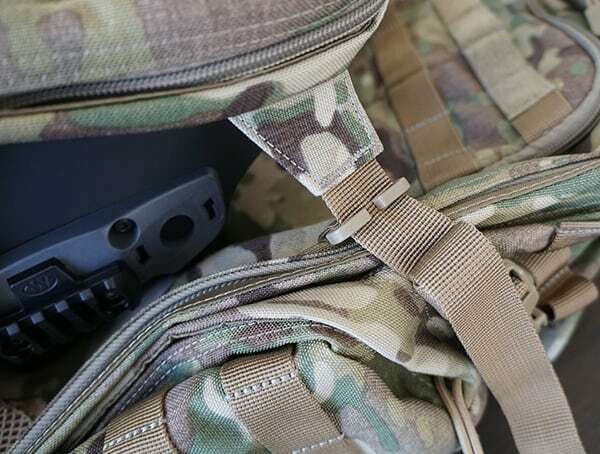 Other things I noticed while exploring the 5.11 Tactical Rush72 backpack included self-healing YKK zippers, a grab-and-go handle with contour yoke system, ambidextrous hose porta and routing, alongside a nametape with flag holders. 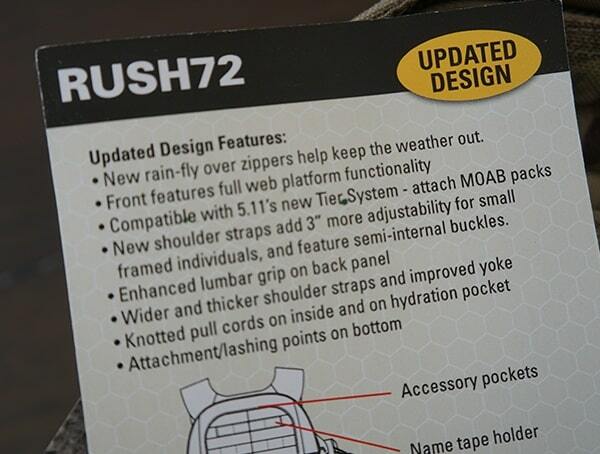 With that said, my Rush72 has taken a beating against the outdoor elements, and it’s still performing like a dream.